A custom made console table based on the oak leaf design. 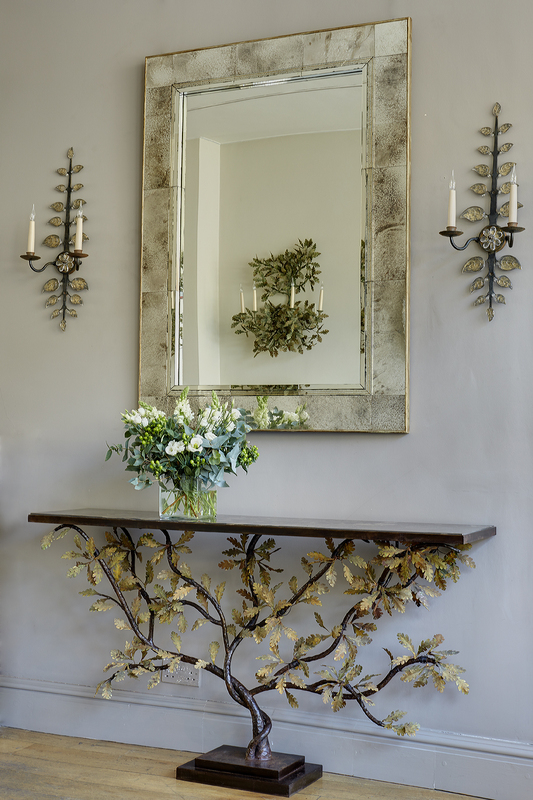 Made to order, hand crafted and coloured metalwork oak leaf design console table with bronzed metal supporting trunk decorated with oak leaves and gray onyx marble top. Can be made to varying sizes with different inset tops. Please note that Charles Saunders is the agent for this console designed and made by Cox London.